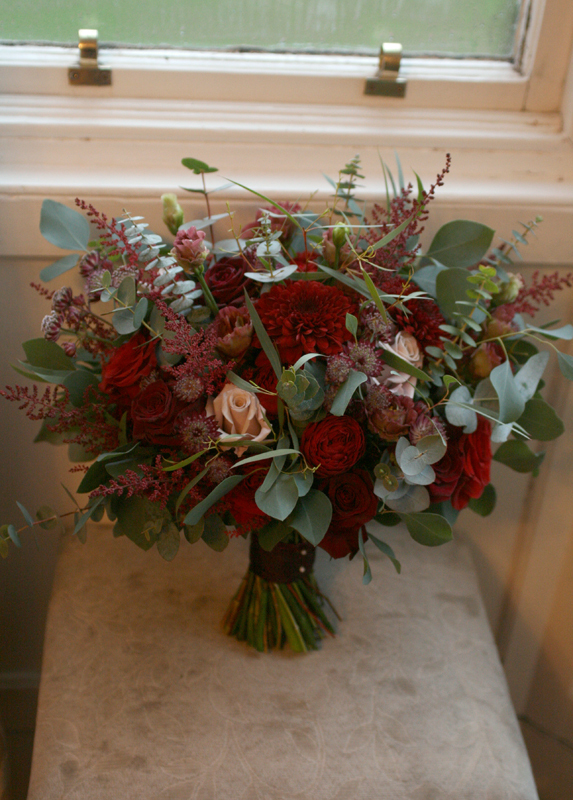 I was delighted to provide the flowers for Lynsey and James’ wedding at Carlowrie Castle back in August. 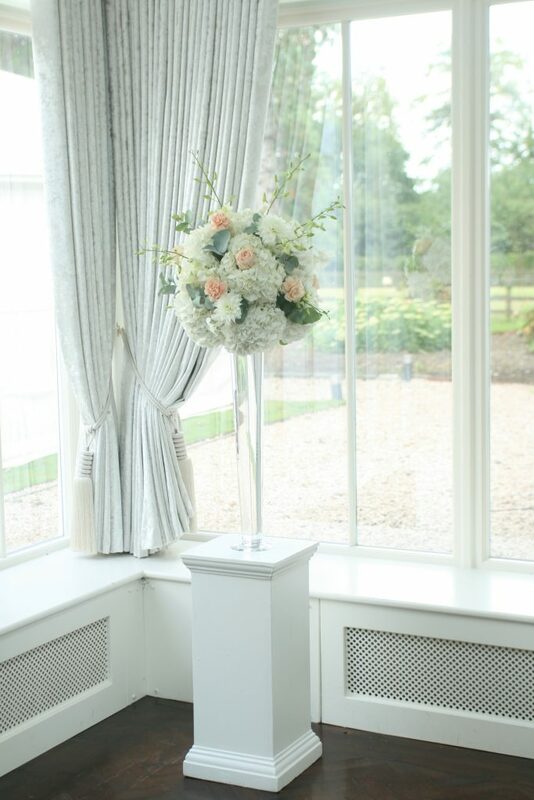 Carlowrie Castle is such a beautiful venue and I loved the colours that Lynsey chose for her flowers. 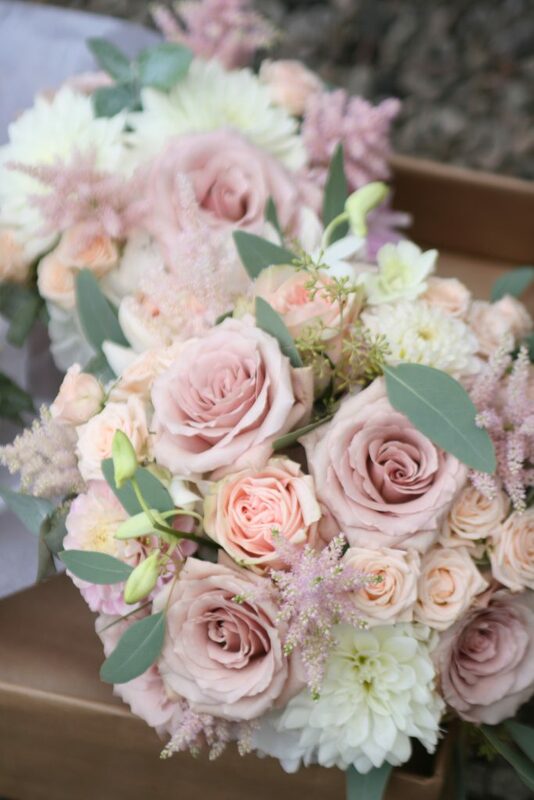 The colour scheme was pale peach and pinks with touches of eucalyptus. 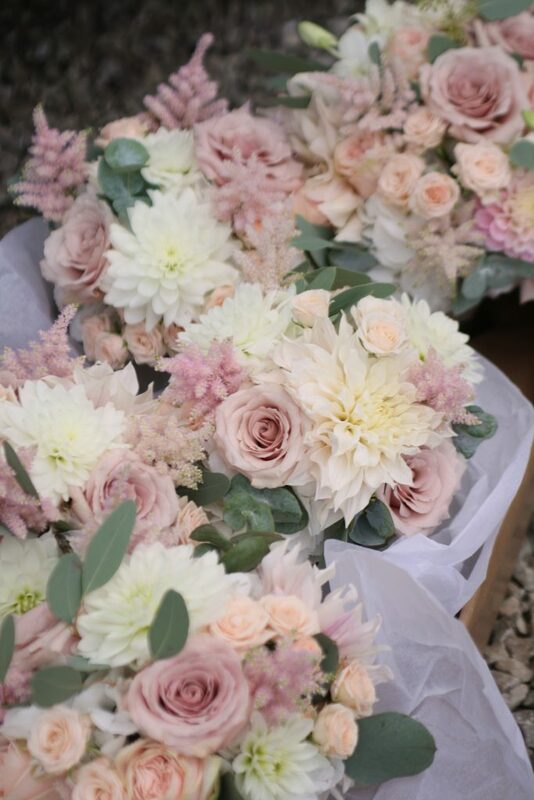 I selected some of my favourite varieties for the bouquet including quicksand roses, menta roses, jana spray roses, astilbe and the gorgeous café au lait dahlia from our cutting garden. 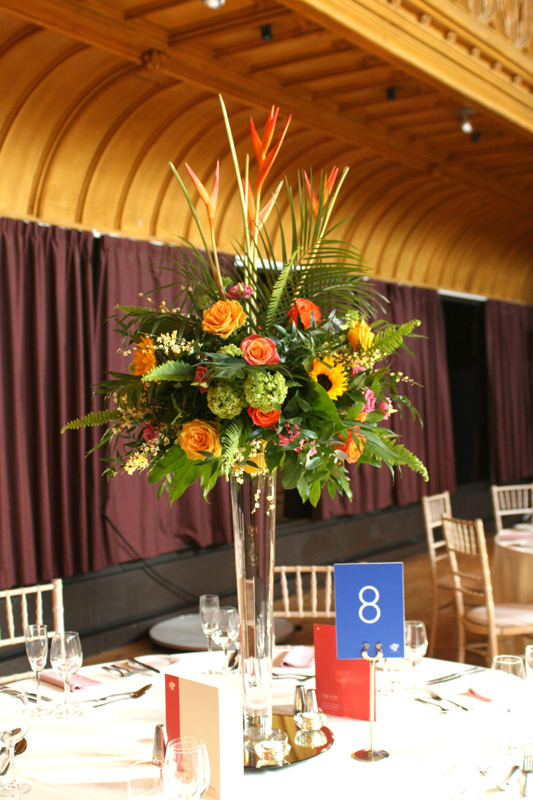 We provided flowers for the reception tables which were a mixture of tall conical vases and small cubed mirror vases full of hydrangea, roses and dahlia. Congratulations to Lynsey and James and best wishes to you both. 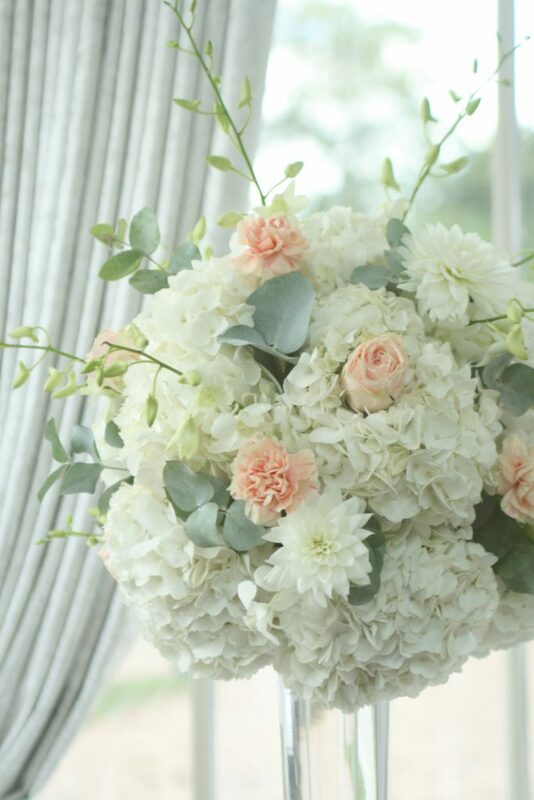 I also provided flowers for Lynsey’s sister Kelsey’s wedding a few years ago. 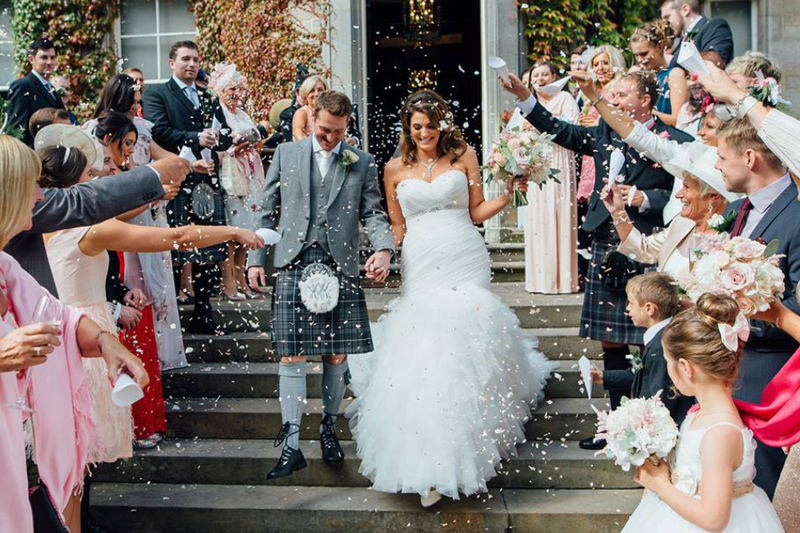 You can see the gorgeous photos from Alan Snelling Photography here.